InstaCheckin is a cloud-based visitor management solution with an iPad app for visitor registration. The InstaCheckin iPad app captures visitor information, visitor photos for added security, digital signatures on legal documents such as NDAs and waiver forms. The app also prints visitor badges with visitor photos and sends instant visitor arrival notifications to hosts via email/SMS. The InstaCheckin web dashboard provides a secure way to access the visitor logs from anywhere, anytime. Several settings of the InstaCheckin iPad app, such as NDA, logos, check-in fields, visitor photo capture can be seamlessly configured using the web dashboard. InstaCheckin is a scalable solution that supports up-to hundreds of locations for a given customer. Instacheckin has completely changed our customer experience! Instacheckin improved our customer experience tremendously, but also streamlined a lot of operations on the backend: tracking who's in the space and how often, collecting emails for newsletters, updating our databases with most recent information, even helped our staff grow their LinkedIn networks, enabling them to reach out to people they've met briefly. Would not give it up.The best part about it is the ease of use and being able to start up immediately - we set up a trial account three hours before an event of 250 people, and my team was ready to go within minutes. The frontend and backend interfaces are very intuitive and have all the features you'd expect, allowing you to not only control who's inside the space at any given point, but also extract list of people in an excel format, send them a follow up message, even automatically notify the appropriate person of their guest arriving. The best part about it is the ease of use and being able to start up immediately - we set up a trial account three hours before an event of 250 people, and my team was ready to go within minutes. The frontend and backend interfaces are very intuitive and have all the features you'd expect, allowing you to not only control who's inside the space at any given point, but also extract list of people in an excel format, send them a follow up message, even automatically notify the appropriate person of their guest arriving. The app is overall great, and is exactly what it should be for a regular office traffic capacity. We also find ourselves in high capacity situations, where there's 200+ people that is coming through the door within 30 minutes. There are two features that would help us in those high-traffic situations: 1. Some people find the button of "two arrows" less intuitive than if it was a simple "submit" button at the bottom of the page where they instinctively look for it. It's not a big deal in regular setting, but when there's 10 people in line behind them, it loses precious seconds. 2. We're not using the badge printer for no, so it would be great if we could choose an alternative "final" thank you screen. People usually look at it expecting more to happen, and I think if we could have a simple: "You're all done. Thank you for checking in!" in large lettering with nothing else on the screen. That would streamline the process significantly and again, prevent us from losing precious seconds. Thanks! The InstaCheckin has been friendly, easy to work with and promptly implements suggested updates. The Instacheckin Team has been friendly, easy to work with and promptly implements suggested updates.InstaCheckin is a reliable and user-friendly check-in system that is approved by 3rd party audits. We like that the system prints photo IDs for all visitors. The electronic log with guest photos help us to keep comprehensive check-in data that is regulatory compliant; we can easily access these logs during audits. The program allows us to include customized documents as part of the sign-in process that all visitors need to know, like our good manufacturing procedures (GMPs) and confidentiality agreements. The system is easy to navigate and use, sending immediate email notifications to team members when guests arrive, which is useful if our front-desk staff member is busy assisting other customers. iPads are recognizable and well-known, so many visitors walk in and immediately start signing in without being prompted, whereas our old paper sign-in ledger wasn't as easy to spot. 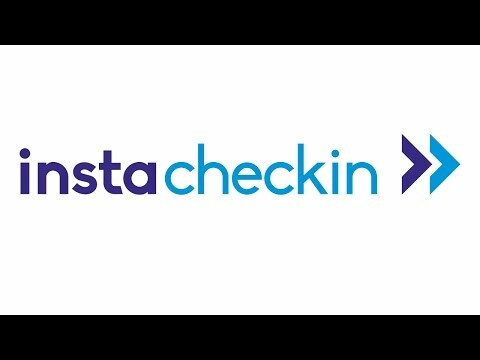 InstaCheckin is a reliable and user-friendly check-in system that is approved by 3rd party audits. We like that the system prints photo IDs for all visitors. The electronic log with guest photos help us to keep comprehensive check-in data that is regulatory compliant; we can easily access these logs during audits. The program allows us to include customized documents as part of the sign-in process that all visitors need to know, like our good manufacturing procedures (GMPs) and confidentiality agreements. The system is easy to navigate and use, sending immediate email notifications to team members when guests arrive, which is useful if our front-desk staff member is busy assisting other customers. iPads are recognizable and well-known, so many visitors walk in and immediately start signing in without being prompted, whereas our old paper sign-in ledger wasn't as easy to spot. InstaCheckin has now updated the app to include the visitor pre-registration feature. With this feature, the pre-registered visitors can quickly type few letters of their name and their information automatically gets filled out. Pre-registrations are helping us check in our visitors quite speedily. It has made the checking in process professional. Streamlining the check in process. Added security for our employees and guests.Being a technology company, we wanted to welcome our visitors and guests with an innovative yet simple way. InstaCheckin helps us do exactly that while increasing the security of our facility. All our visitors get visitor badges printed automatically. As we implemented InstaCheckin, we noticed a great improvement in the overall visitor experience. We really love the notifications as our visitors arrive! Being a technology company, we wanted to welcome our visitors and guests with an innovative yet simple way. InstaCheckin helps us do exactly that while increasing the security of our facility. All our visitors get visitor badges printed automatically. As we implemented InstaCheckin, we noticed a great improvement in the overall visitor experience. We really love the notifications as our visitors arrive! I honestly can not think of any cons. The system is so user friendly. I am not a very technical person but it has been easy for me to learn the different sides of the InstaCheckin system. Pleasant experience so far. We run into a few minor issues here and there but, overall, enjoyable. It is quite intuitive and easy to figure out for a new user. Parents find the program easy to use, and the data that we get from the program is useful. One big issue! As a school, we have students sign out for various reasons during the day. Because students do not "sign in" to start the day, there is no easy way for them to "sign out". They have to "sign in and then "sign out", which an awkward and confusing way to do it. Please create a way to pre-populate the program, or do a large group sign in so that a student can "sign out" in one easy step. Otherwise, we may have to look for a program that can accommodate our needs next year. Free: $0 -InstaCheckin is free for up to 50 employee contacts, unlimited visitors, 1 location. Basic: $49/month per location, billed annually. Standard: $99/month per location, billed annually. Premium: $149/month per location, billed annually. InstaCheckin provides a modern, intuitive way to capture visitor information using a familiar iPad interface. The platform helps in creating an efficient front desk and streamlined visitor arrival experience, where staff can welcome and engage with the visitors rather than be tied down with paperwork. InstaCheckin helps companies make the best first impression on visitors by giving them a warm and professional welcome. Built-in reports and analytics provide users with deeper insights into visitor activity across all of their locations. Print visitor badges with photo ID and access visitor logs securely from anywhere, anytime. Instant visitor arrival notifications - sent via email or SMS - help employees promptly attend to their visitors, improving overall visitor experience. Below are some frequently asked questions for InstaCheckin. Q. What type of pricing plans does InstaCheckin offer? Q. Who are the typical users of InstaCheckin? Q. What languages does InstaCheckin support? Q. Does InstaCheckin support mobile devices? Q. Does InstaCheckin offer an API? No, InstaCheckin does not have an API available. Q. What other apps does InstaCheckin integrate with? Q. What level of support does InstaCheckin offer? Q. Which apps is InstaCheckin compared to most often?